Funding Sim tier, events scheduling and overall sim management is the responsibility of the Sim Management Officer, who is an appointed Officer and one of the sitting SLSA Directors. The Sim Management Officer will also have final say over disagreements between Sim Support Team members. Management of structures (builds) and behaviors (what activities can be done) on SLSA Solace Beach, is managed on a day to day basis by SLSA SIM Support Team, which consists of the current elected SLSA Directors, the SLSA HOF curator together with members approved by the directors as SLSA Sim Support . Any Member may apply to carry out the role of SLSA Sim Support; however priority will be given to members who are SLSA Advisors OR who have 6 months plus experience in sim management, sim performance tuning, building, scripting or graphic or environmental and social design knowledge. Sim management classes will also be held for all persons in the Sim Support role, or to members that wish to qualify for the role. The Sim Management Team (Team) will be limited to the 5 elected SLSA Directors, the Solace Estate Manager (as a Linden support Liaison), the SLSA HOF Curator and up to 6 additional SLSA Members. Directors will rotate automatically as their terms complete. The six other members, will rotate out every 12 months, but may remain if there are no other members in line for the role, ex-directors may also continue in a Sim Support role if positions are vacant. Issues requiring Estate/Region Level privileges will be handled by the Sim Management Officer or one of the other directors in the guise of Surf Rang or Salsa Waverider. – the physics impact, and the general acceptance of the build by the members. – whether the build is a “good neighbor” with neighboring sims, if close to their boundaries. If there is disagreement between Team member over a proposed build the Sim Management Officer has final say. 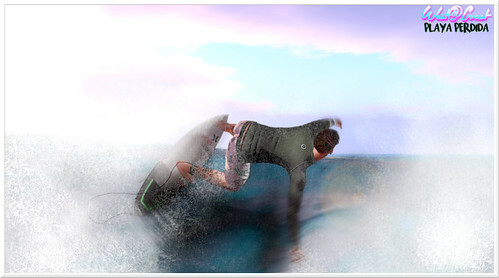 – All Builds must be rezzed with the SL Surfing Association group set. – The SLSA committee must approve all objects for sale, either by the SLSA or by tenants of the rental huts. 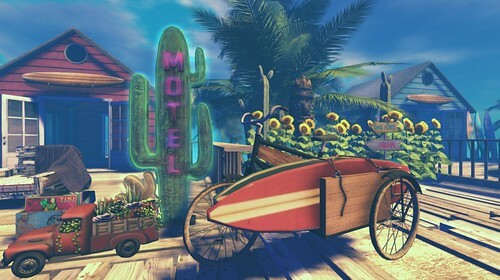 – Surf boards and other surf “vehicles” may be displayed, but may not be sold on the sim, however a link back to the originating shop at the surf sim may be given. 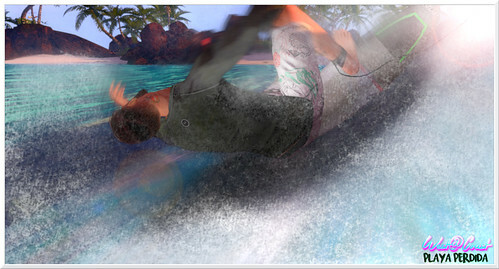 This is to ensure that the SLSA sim doesn’t compete with pther surf sims within the association on surf product sales, and also to help the Sim perform its role as a hub sending people out to other surf breaks in the association. – No commission based products of any kind may be sold on the sim. Only items that are wholly made or licensed by the seller (an SLSA Member) themselves may be sold, wherein 100% of the sale goes to the seller. This is to ensure that surf “cottage industries” are encouraged, and that the sim does not fill up with affiliate vendors that are siphoning money away to non SLSA members. 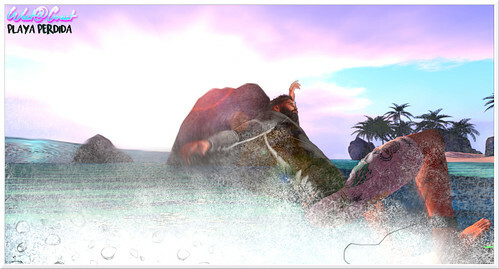 – No banners advertising Major Real Estate businesses outside Solace Estates may be displayed, Although advertising parcels for rent on your personal surf sim(s) is perfectly fine. Object, Prim, Script, Particle, and Media (sounds and video) Control shall be monitored and softly managed by the committee daily. All SLSA members are allowed to rez on the Sim wearing their SLSA member tag. However members that are not a part of the current or past Sim Management Team will have their objects returned in the following circumstances. If any of this type of object is returned, and the person that rezzed the object, re-rezzes it after an explanatory notice by the SLSA Sim Support Team, the person in question may be sent home and temporarily banned from the sim, all Team members shall be informed and can make a decision to remove the ban in consultation with the person. Any verbal harassment of the Sim Team Members, in private or in group chat, may lead to suspension of group chat privileges until an explanation or apology is received. In short, being inconsiderate of other members or visitors will not be tolerated, no exceptions!! Team members are empowered to take action and ask questions later, members are of course able to appeal the decision, or the actions of Team members with the SLSA sitting Directors. – Objects may however be set for direct sale, provided they comply with the rules outlined above. 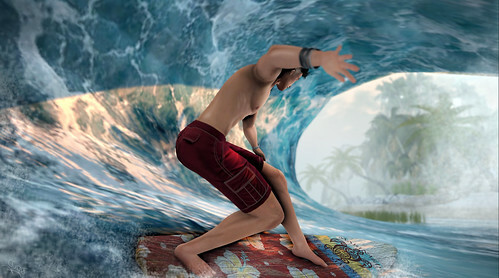 – Out of consideration of your fellow surf members, Avatars are asked to keep scripted attachments and HUDs to a minimum, particularly look for Hair, Shoe or Jewelry resizing or re-texturing scripts and delete those from a copy of the item, or remove them and use lower script versions. – Surfboards will be returned if they are causing obstruction to the waves or on a daily basis.